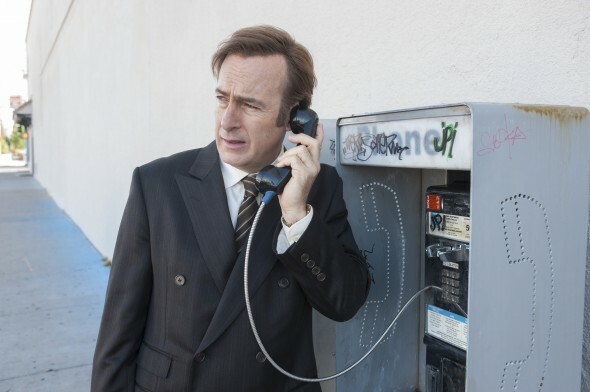 Big news for Better Call Saul fans. According to The Hollywood Reporter, the AMC drama has been renewed for a third season. The Breaking Bad spin-off is currently in the middle of its second season. The renewal doesn’t come as a huge surprise. Though Better Call Saul doesn’t perform all that well in the ratings, the show has consistently won critical praise for its storytelling and lead performance from Bob Odenkirk. Recently, the cast revealed which Breaking Bad character they’d like to see appear on the show. With a new season on the horizon, looks like those cameos could really happen. What do you think? Do you watch Better Call Saul? Are you glad it’s been renewed? What do you hope happens in season three? AMC – This show is a gem! Amazingly smart and entertaining characters! Please advertise it better, you deserve a much better audience (ad $) for this series. Make it clear that it i base off of Breaking Bad….so many people who loved Breaking Bad are not aware of this series….. Waiting for new season love the show. So excited to watch. Love it! Can’t wait for season three. I think the show is boring and should be cancelled. An almost complete waste of time. No excitement at all, and what is supposed to be humor is not funny. So happy about Better Call Saul being renewed for a third season!!! This is one of the best shows I’ve ever come across. The feel of the show, the writing, the actors and everything about it is just absolutely brilliant. It takes you on a journey you never knew you wanted to take. Thank you AMC!! !